Today we chat with the lovely Galina Dixon as she prepares for her debut stall at our Sydney market in just a few weeks time. 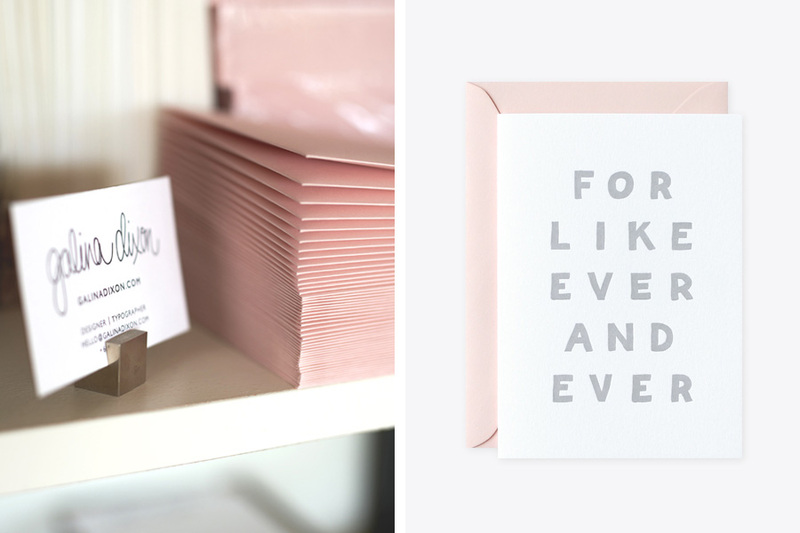 After ten years in design and advertising in Sydney, I decided to follow my heart, take a leap of faith and invest in the dream of starting my own boutique stationery brand. I don’t know where my original love of paper and fine stationery came from, but I do remember that even as a little girl growing up in Russia, I was obsessed with colouring in and drawing type. I studied design at high school and university in New Zealand, and really enjoyed my professional creative career in Sydney. 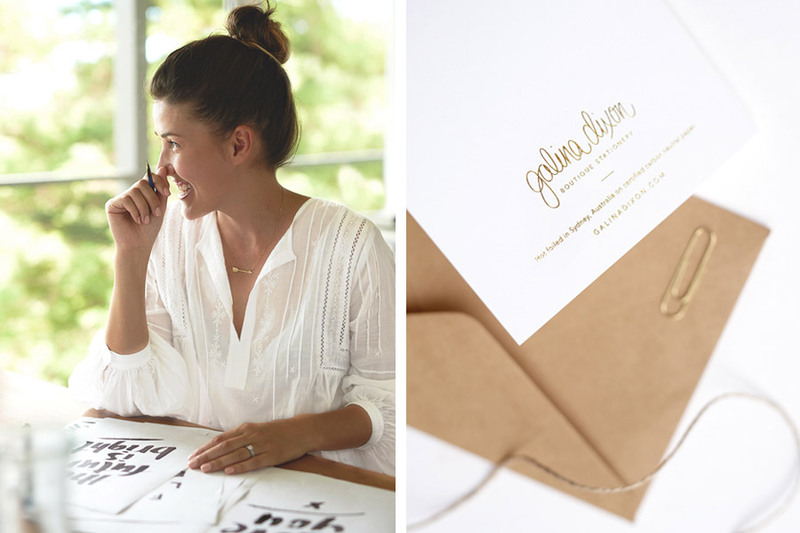 Until one day, after the birth of our son, I could no longer resist the desire to do my own creative thing, and so the GALINA DIXON Boutique Stationery brand was born. I believe in keeping it simple. I believe that beautiful words on gorgeous paper bring much happiness. I believe in the handwritten note. Image features Galina Dixon. Image credit: Heath Bennett. 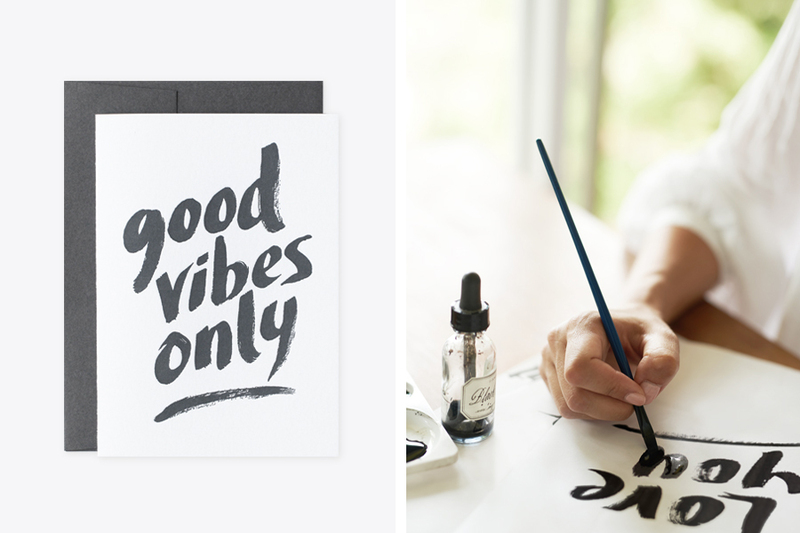 A lot of the inspiration behind the words I hand letter comes from everyday life, my family and friends. I design greeting cards that make me smile, and that I would want to buy myself, to give to my husband, mum or best friend. My creative inspiration comes from all over. I’m always jotting ideas down in various notebooks and making endless lists. The ideas that I keep coming back to, the ones I can’t ignore, I start drawing. I often start with black ink and a brush. When I’m happy with my work on paper, I scan it and continue working on it digitally. It’s hard being a perfectionist when it comes to my work, and knowing when to stop. I try to embrace the Japanese aesthetic of wabi-sabi (art being perfectly imperfect) on a daily basis, but the struggle is real. I admire the work of Alex Trochut, Sergey Shapiro and Maybelle Imasa-Stukuls. Tell us something exciting that you have planned for GALINA DIXON for the next 12 months? 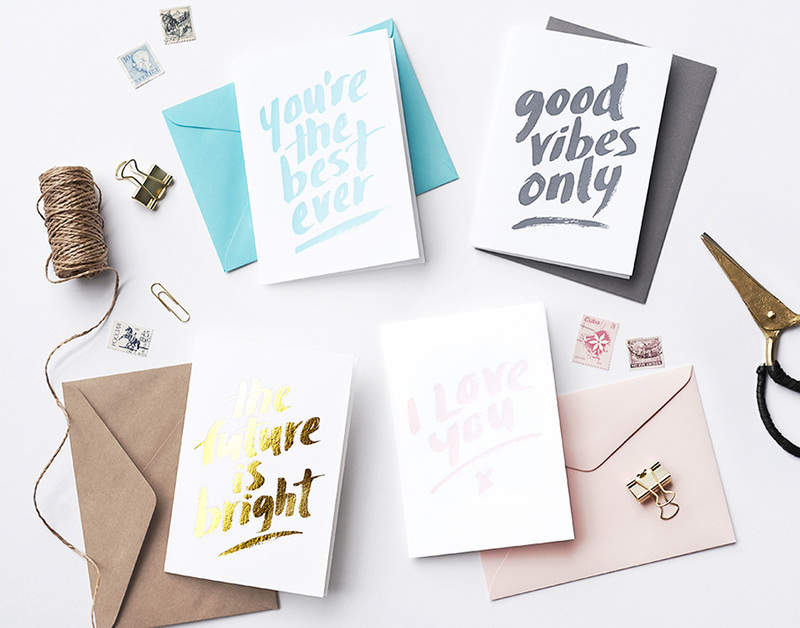 The GALINA DIXON brand launched in January 2017, with a collection of luxe letterpress and foiled greeting cards. It felt so good to finally put my ideas out into the world. 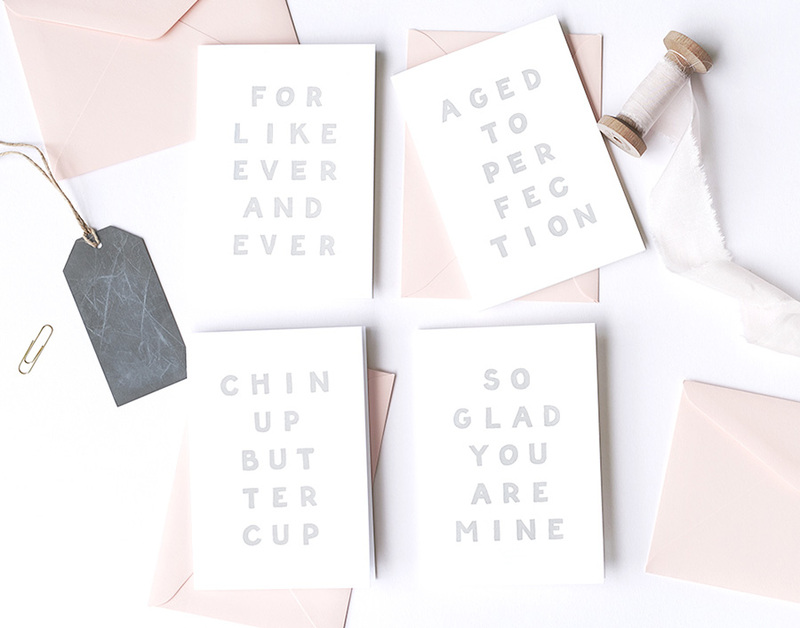 Over the next 12 months I’m excited to expand the card collection with many new designs. I’m also working on a range of art prints, gift tags and double-sided wrapping paper. You can expect to see lots of new paper delights at my debut at the Sydney AW17 Finders Keepers Market. Image features the Romance Collection – by GALINA DIXON. Coffee. No, it would definitely have to be the paper. 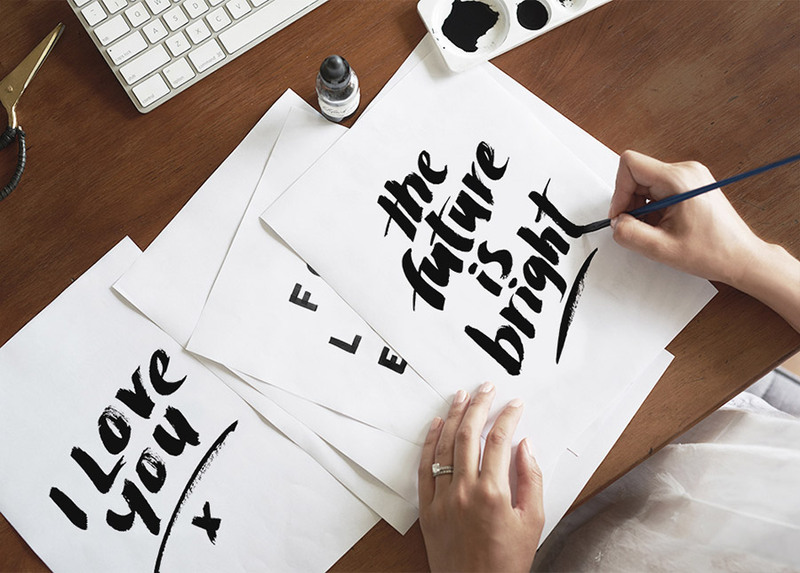 All of my stationery items featured my hand lettering, so my brand couldn’t exist without the paper to create my artwork on. I use a variety of brushes, pencils, pens, calligraphy nibs, inks and watercolours to create my artwork, but paper is definitely the common thread in my creative process. The final output of my work is also always on paper. 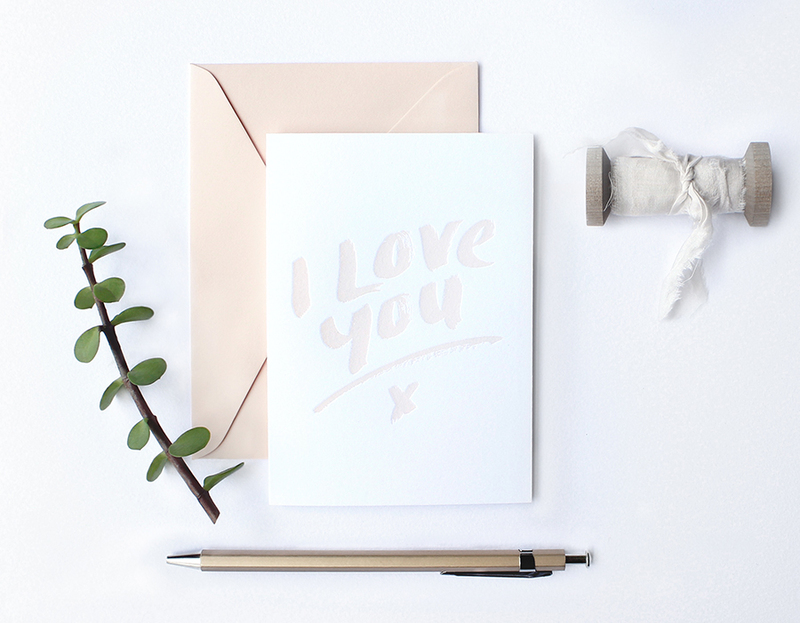 All my greeting cards are either hot foil stamped or letterpress printed the old fashioned way on luxurious 100% cotton paper, or on carbon neutral or recycled paper stock. I couldn’t imagine my brand without paper (and coffee). Hmm… that’s like asking who your favourite child is! I love them all equally. 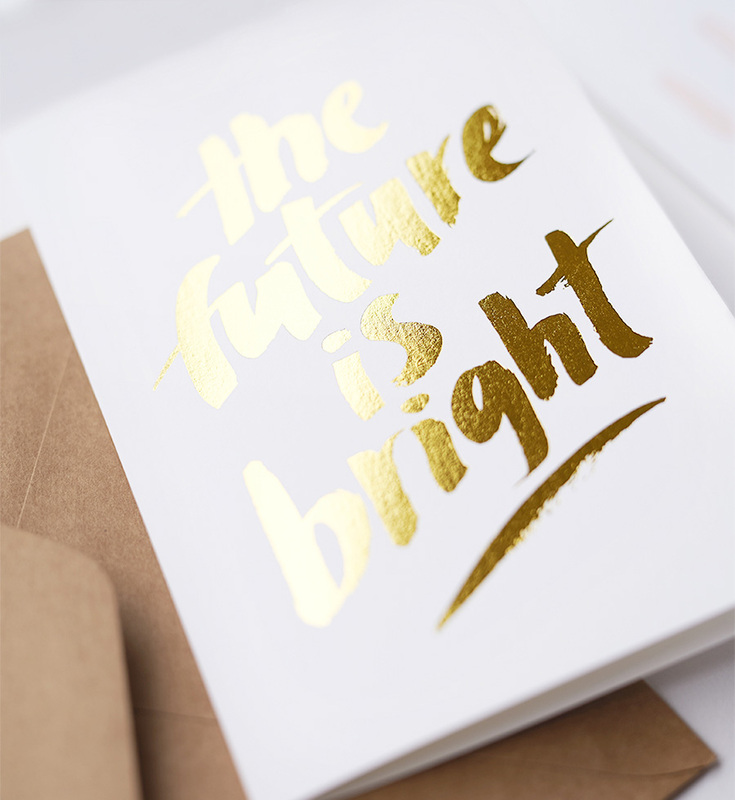 Having only just launched my luxe greeting card collection, my favourite (if I really had to choose just one) would be the gold foiled “The future is bright” card. It’s so perfect for so many occasions in life, and it sums up exactly where I’m at right now. I’m optimistic and excited to see what the future holds for my new brand. I also try to keep this as my general outlook on life (so stay tuned for the limited edition art print version of this card). No matter how rubbish life can get sometimes, there are always bigger and better things just around the corner. Onwards and upwards. 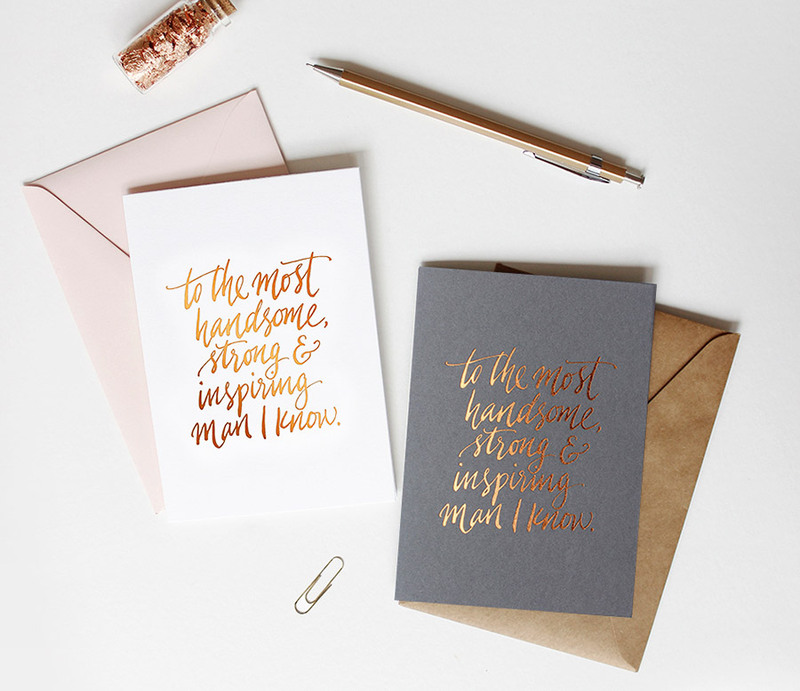 And who doesn’t love a gold foil?